This webinar will guide you through the decision tree process developed for Practice Note 12.1 - Climate change impacts on the useful life of infrastructure. Learn how to integrate the likely impacts of climate change into an assessment of the useful life of your infrastructure assets. Practice Note 12.1 – Climate change impacts on the useful life of infrastructure was developed to provide a simple, consistent and rigorous methodology for assessing the likely impacts of climate change on the useful life of infrastructure assets. This webinar will provide real-time and recorded training in the use of Practice Note 12.1. It is suggested that all participants read Practice Note 12.1 and have an overview understanding of its content to get full value out of the workshop. Dr. Balston has an undergraduate degree in applied science and a doctorate in climate science and has been an applied climatologist for the past 25 years. As such she has researched the impacts of climate variability and climate change on agriculture, natural resources, ecosystems, emergency management and the built environment across Australia. During her career, Jacqueline has been Climate Research Scientist with the Western Australian Department of Agriculture and South Australian Research and Development Institute and Senior Climate Research Scientist at the Queensland Climate Change Centre of Excellence. 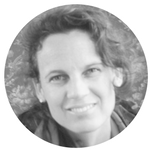 She currently works as an Adjunct Senior Research Fellow at University of South Australia and as a private Climate Consultant to local, state and federal governments and organisations. She undertakes senior research and project leadership roles and has also acted as consultant climate change advisor to the South Australian Local Government Association and the CSIRO Marine and Atmospheric Sciences Group. In collaboration with project partners, her work has been selected as an example of good climate change adaptation practice and was awarded winner of the National Climate Change Adaptation Research Climate Change Champions Award at the regional and state level and winner of the Disaster Resilience award at the regional level and runner up at the national level. This Practice Note 12.1 is a companion document to IPWEA Practice Note 12 (Useful life of infrastructure) and the two should be used together. 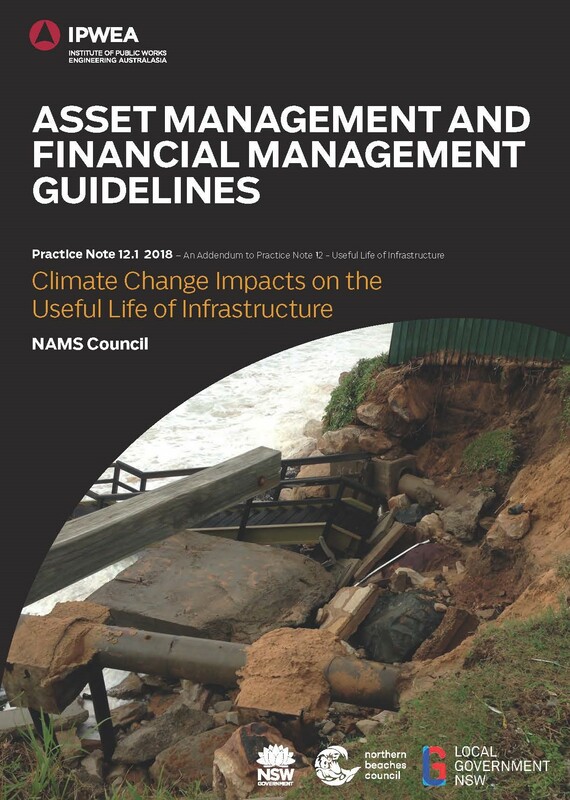 Practice Note 12.1 (PN 12.1) provides a methodology and guidance for asset managers on how to assess the impact of climate change on infrastructure useful life to the year 2100. The scope of PN 12.1 is to present: the expected changes in the climate across Australia to the year 2100; information on the likely primary impacts of those changes on asset usage, wear and tear - including physical damage and chemical deterioration; the range of adaptation responses that may be considered; sources of data and models available for more detailed climate and climate impacts assessments; and a range of supporting worksheets and information tables. Want to attend the webinar but can't on that day? Don't worry you can! All you have to do is proceed to register and by doing so you will have access to the recorded webinar which you can watch at a time which best suits you! Cancellation Policy: Substitution advice must be received 3 days prior to webinar. Cancellations received less than 1 week prior to webinar will be required to pay full cost. The right is reserved to defer, amend or cancel webinar.